Our team of experienced risk management and benefits consulting professionals is the biggest reason for our success. We’re constantly looking to get better, smarter, and more efficient at what we do—which is why we’ve continued to grow and thrive over the last 50 years. We love what we do, and we demonstrate that every single day through our commitment to our clients and partners. Morgan Agster joined the MJ Insurance team in 2017 as an Assistant Account Manager in our Benefits Consulting department. While learning the nuances of the industry, Morgan works with the analytics, wellness, compliance, communication and client advocacy teams assisting with their day-to-day needs. Typical day-to-day needs include, but are not limited to, preparing custom client communication materials, cost analysis and summaries, as well as assisting in the marketing and renewal process for new and existing clientele. In her role, Morgan particularly enjoys the communication and relationship building aspect with both clients and carriers. Prior to joining MJ, Morgan worked as a Leadership Consultant for Kappa Kappa Gamma where she served as a Traveling Consultant specializing in the leadership development of collegiate women and also supported the development and continuation of chapters across the nation. Joining the Wellness team in 2017, Angelica Alaniz works as a wellness coordinator in our Benefits Consulting department. Specializing in creating engaging, data-driven wellness solutions, Angelica brings over five years of corporate health and wellness experience to the MJ Insurance team. 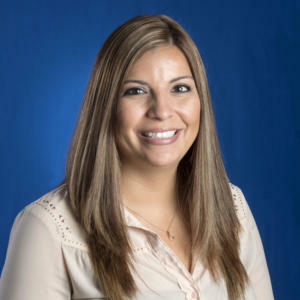 Prior to joining MJ, Angelica worked as a wellness and benefits administrator where she coordinated and managed the organization’s benefits program as well as a variety of engaging wellness programs including onsite fitness, group incentive programs, educational seminars and digital solutions. At MJ, Angelica develops and deploys wellness initiatives for MJ clientele and uses datadriven strategies to provide them with the necessary tools and understanding to deliver a well-rounded program to their employees. As the cost of healthcare continues to rise, Angelica works with clients to develop wellness initiatives and programming that are valuable, engaging and cost-effective. Jamie Ancheta joined the MJ Insurance team in 2016 as a Client Executive in our Benefits Consulting practice. 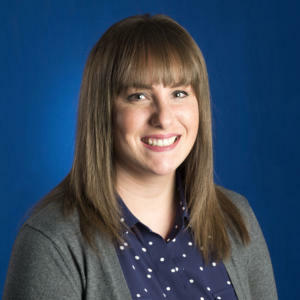 Prior to joining MJ, Jamie worked as an Account Manager and Business Analyst for BlueCross BlueShield of Arizona where she was responsible for client service, needs analysis, and employer/employee education. Over the last 15 years in the industry, Jamie has developed vast expertise in benefit program analysis, plan development and implementation, disability insurance benefits, HSA implementation, and vendor analysis and review. internal conduit between analytics, wellness, communication and compliance, Jamie ensures client strategy is executed upon while providing a truly exceptional customer service experience. Kirsten Bell joined MJ Insurance in 2016 as an employee benefits communication specialist in the Benefits Consulting department. Specializing in creating custom client communication and education plans, Kirsten brings over five years of writing and communication experience to the team. 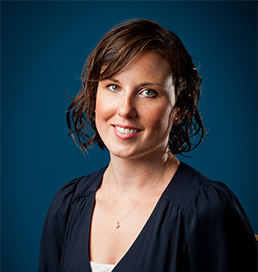 In her role at MJ, Kirsten collaborates with clients to develop and execute key communication strategies for increasing open enrollment, activation and optimal utilization of health care benefits. 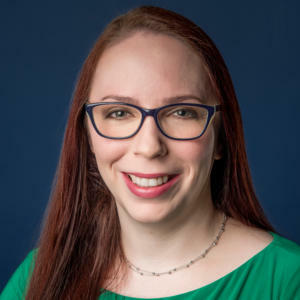 Kirsten is also responsible for expanding the MJ Learning Center and client education series, helping clients better manage and understand complex benefits information via educational events, seminars, webinars and roundtable sessions. Kirsten has played an instrumental role in the success of MJ’s InspireYOU series, and continues to grow the initiative today. Mark Bower joined the MJ Insurance team in 2009 as employee benefits consultant and brings with him over a decade of industry experience. His proficiency in developing innovative solutions for his clients’ employee benefits programs has allowed him to flourish in this ever-changing market. Mark specializes in maximizing employee benefits to support an organization’s strategy, managing costs and risk, enhancing employee recruitment, increasing employee retention and satisfaction, creative pharmaceutical solutions and improving communication and perception of benefits to employees along with extensive experience in developing wellness programs and onsite/nearsite clinics. At MJ Insurance, Mark and his team work to provide value and unparalleled service to all of its clients while helping to execute risk management strategies in alignment with their unique company goals. Tami Brodie joined the MJ Insurance team in 2010 as marketing underwriter in our Benefits Consulting practice, and has since been promoted to the role of account manager. With 25 years of industry experience, Tami’s expertise lies in cost and Rx analysis, medical underwriting, contract review, marketing and carrier negotiation. Tami and her team work to provide comprehensive benefits, health and wellness, and compliance services to their clients. Along with servicing the day-to-day needs of MJ’s employee benefits clientele, she strives to provide extraordinary service while managing the marketing and renewal process for new and existing accounts. Tami works in tandem with the teams within the Benefits Consulting department to provide the best possible programming while tailoring strategies to fit each client’s needs. Tami loves that her job allows her to create meaningful relationships with clients and carriers alike. Cherie Brodzik brings over 18 years of experience in employee benefits, life and disability insurance and health and wellness programming to MJ, where she currently functions as account manager. Joining the MJ Insurance team in 2013 as a marketing coordinator, Cherie quickly moved up to become a valued account manager on the Benefits Consulting team. Cherie and her team work to provide comprehensive benefits, health and wellness programs, and compliance services to their clients. Along with servicing the day-to-day needs of MJ’s growing employee benefits clientele, she strives to provide extraordinary service while managing the marketing and renewal process for new and existing accounts. With a focus on alignment and a passion for fostering positive client relationships, Cherie’s main goal is to better evaluate, analyze, plan and manage her client’s employee benefits programs and strategies. 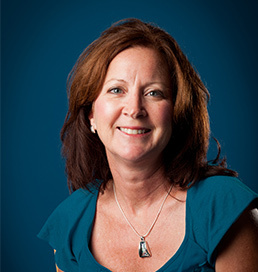 Julie Burris joined the MJ Insurance team in 1991 as an account executive in our Employee Benefits department. She began her insurance career in 1987 in Medicare Supplement and Individual Health Plan sales for BCBS and has built a diverse resume of experience within the healthcare marketplace. Her nearly 30 years of industry experience has allowed her to become a true leader within our ever-growing Benefits Consulting practice. Over her career, Julie has specialized in working with mid-market and large employer groups across a wide range of industries. She works closely with her team developing strategic plans for clients’ health and wellness programs along with a focus on project management, plan document review/analysis and carrier relations. Eric Charles joined the MJ Insurance team in 2014 as employee benefits consultant in our growing Benefits Consulting practice. With past experience delivering solutions for qualified defined contribution plans, Eric has quickly grown to become a valued member of the team where he focuses on consulting group clients on cost-saving benefit solutions. Eric’s expertise lies in employee relations and communications, benefits technology, plan design and analysis, consumer driven health plans and prescription drug cost containment, along with experience in the development and implementation of employer sponsored onsite clinics and wellness programs. He strives to provide unparalleled service by working with clients to truly understand their business and designing innovative solutions that align with the company’s corporate goals and objectives. Betty Crossland joined the MJ Insurance team in 2012 managing public sector market development within our Benefits Consulting practice. 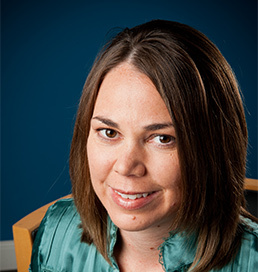 Prior to joining MJ, she held the role of Benefits Consultant and Regional Manager at NISBenefits. With over 40 years of industry experience, Betty brings a wealth of knowledge and expertise to the Benefits Consulting team. Betty’s main focus is on benefits plan challenges and solutions for public sector employers, specifically school corporations. She works to develop relationships with public sector employers and associations for potential employee benefits partnerships with MJ Insurance and our Benefits Consulting team. Frank Crossland joined the MJ Insurance team in 1974 as employee benefits consultant and quickly grew to become one of the agency’s top performers. His track record for growth and leadership continued throughout his career where he managed the employee benefits department for his first 30 years at MJ and was also named an agency principal and vice president. Now, Frank focuses on consulting group clients on cost-saving benefit solutions and managing employee benefit risk exposure while acting as a mentor for rookie producers in the benefits department. Frank works with his clients to understand their unique business objectives and designs innovative strategies in alignment with the company’s corporate goals. He has a broad base of specialties including employee benefit plan design, plan funding arrangements, pharmaceutical solutions, population growth, insurance trust management, wellness and health care clinic development and integration. At MJ, Frank and his team work to provide value and unparalleled service to all of their clients, a longstanding value that continues today. Alex Dantin joined the MJ Insurance team in 2017 as a data architect in our Benefits Consulting Health Risk Management department. Prior to joining MJ, Alex worked as a business intelligence technologist at Allegion where he was responsible for information analysis and reporting between business units and IT resources. At MJ Insurance, Alex is responsible for designing and implementing a data warehouse and long term data strategy including process, governance and analysis. He works with the Health Risk Management team to properly develop and analyze reports that provide tactical and strategic recommendations to MJ’s benefits consulting clientele. Through this dedicated data analysis, Alexander is able to forecast future trends allowing clients to implement the appropriate mitigation strategy in alignment with their needs. Amy Davis joined the MJ Insurance team in 2015 as a client executive in our Benefits Consulting practice. While she still functions in the Client Executive role, she was quickly promoted to Director of Employee Benefits Strategy and Operations as well. At MJ, Amy is responsible for the communication, accountability and execution of annual service plans, claims and experience modification reviews, industry benchmarking, claims drill-downs and alternative modeling. 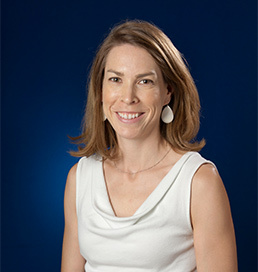 In addition, Amy oversees the coordination of carrier activities, audit support, plan analysis and evaluation, along with Rx program analysis and recommendations. In her role as client executive, Amy acts as the internal conduit or “quarterback” between analytics, wellness, communication and compliance to ensure all team’s within the Benefits Consulting department work seamlessly to execute on personalized client strategy. Sean Evans joined the MJ Insurance team in 2018 as an Employee Benefits Consultant in our Arizona Benefits Consulting department. Prior to working at MJ, Sean served as owner and operator of Jimmy John’s – Cali Subs LLC in Santa Barbara, California. As owner and operator he was responsible for executing leases, sourcing contractors and overall franchise financials and operations. Sean’s business management and ownership experience gives him a unique perspective in creating innovative solutions to meet individual client’s benefits and risk management needs. Sean works hard to understand specific corporate initiatives and company culture to ensure that the unique needs of each of his clients is met and addressed accordingly. He is responsible for the creation and execution of cost containing benefits, communication, compliance and wellness programs. Margaret “Maggie” Gloyeske joined the MJ Insurance team in 2017 as a client executive in our ever-expanding Benefits Consulting practice. With over 25 years of industry experience, Maggie’s vast market knowledge in health risk management, employee engagement, talent development and benefits technology has made her an essential addition to the team. In her role, Maggie is responsible for the development and management of employee benefits strategies for large group clientele. She and her team work with clients to better understand their core goals and initiatives in order to effectively evaluate, analyze, plan and manage their benefits strategy. Providing the strategic direction for the group, Maggie strives to maximize employee benefits to support an organization by managing costs and risk, enhancing employee recruitment, increasing employee retention and improving communication of benefits to employees. Barry Goodrich began his insurance career in 2006 and joined MJ Insurance as an Employee Benefits Consultant in 2007. He became a principal of the firm shortly thereafter. He has since been named vice president of sales & strategy where he is responsible for providing strategic direction and overseeing sales efforts for the Phoenix Benefits Consulting department. 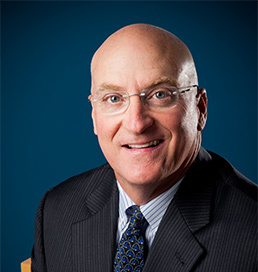 His track record for growth and leadership has continued to develop throughout his tenure, where he specializes in employee benefit plan design and analysis, health and wellness program development, consumer driven health plans, alternative and self funding, pharmacy benefit management, benefits technology and compliance management. Barry’s expertise lies in consulting group clients on cost-saving benefit solutions. He and his team help to identify the primary cost drivers affecting their clients’ benefit plans and work to develop tailored solutions designed to alleviate some of these costs. Barry continues to help organizations find the best option for benefit set-up and renewal, alleviating unneeded stress from employers and determining the optimum benefit plan for their company. Brian Gratigny joined the MJ Insurance team in 2014 as director of health risk management where he oversaw the Health Risk Analytics practice in our Benefits Consulting Department. Brian has since been promoted to vice president, analytics practice lead where he manages and sets the strategic direction for the Analytics practice of MJ Insurance. 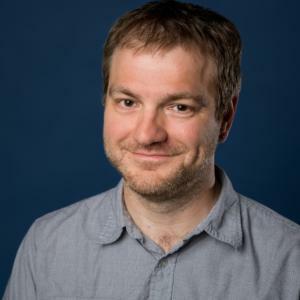 With 14 years of experience in the health care field, Brian provides a unique, outside perspective that he utilizes to pinpoint exactly how data can be best communicated to clients. Brian and his team provide clients with the analysis and insights needed to advance decision making in healthcare and risk management strategy. The growing need for business and data analytics has allowed for an expansion in this practice and Brian’s strategic marketing, research and analytical knowledge has made him an invaluable member in our organization. With nearly two decades of industry experience, Brian and his team work to proactively introduce data driven, strategic direction and recommendations to clients while addressing key business goals and initiatives. Shauna Henley joined the MJ team in 2013 as wellness coordinator in our ever- expanding Benefits Consulting department. Prior to joining MJ, Shauna worked as wellness intern at both Interactive Intelligence and MJ Insurance where she worked to create structured wellness programs tailored toward the environment of the company. With this joint partnership, she was able to gain insights into the benefits side of the business as well as the client side which has proven to be tremendously helpful in her role. Shauna’s focus at MJ is to fully understand client goals and objectives surrounding their wellness initiatives and provide them with the necessary tools and understanding to deliver a well-rounded program to their employees. She tailors all wellness initiatives directly to the client’s culture allowing for a more positive, consistent message to the employee. Shauna currently serves over 25 clients, with each having the need for unique and diverse resources. Mercy Ibarra joined the MJ Insurance team as account manager in our Benefits Consulting department and quickly moved up to the role of client executive. With over 20 years of employee benefits, life and health insurance experience, Mercy has grown to become a technical expert in her field and respected member of the Benefits Consulting team. Mercy and her team work to provide comprehensive benefits, health and wellness programs and compliance services to their clients. As a seasoned client executive she develops the most cost effective and strategic benefit options and programs for our clients. She is their main point-of-contact and acts as an advocate on their behalf. She enjoys creating effective communication material and helping our clients navigate the ever-changing world of health care reform. Terri Jackson joined the MJ Insurance team in 2015 as account manager in our Benefits Consulting practice and was quickly promoted to client executive. 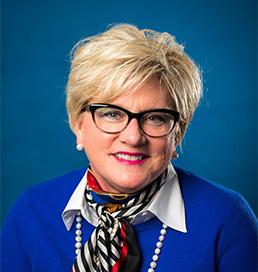 With nearly 30 years of industry experience, Terri’s expertise lies in self-funding, compliance, employee education and communication, benefits strategy and plan design, vendor selection, contribution analysis, negotiations and plan document review. At MJ, Terri provides comprehensive benefits, health and wellness programs, and compliance services to clients. As a seasoned client executive she assists in developing the most cost effective and strategic benefit options and strategies to MJ’s benefits clientele. She is the main point-of contact, servicing the day-to-day needs of her accounts as well as conducting employee meetings, claims analysis, and strategic planning meetings. Jacob Jones joined the MJ Insurance team as an employee benefits consultant in 2017. With nearly a decade of industry experience, Jacob’s expertise lies in consulting group clients on cost-saving benefit solutions. Prior to joining MJ, Jacob worked as a sales consultant for a large, regional brokerage firm where he worked with business owners to assess benefit costs designing structured programming to help control expenses while offering the best coverage for their employees. 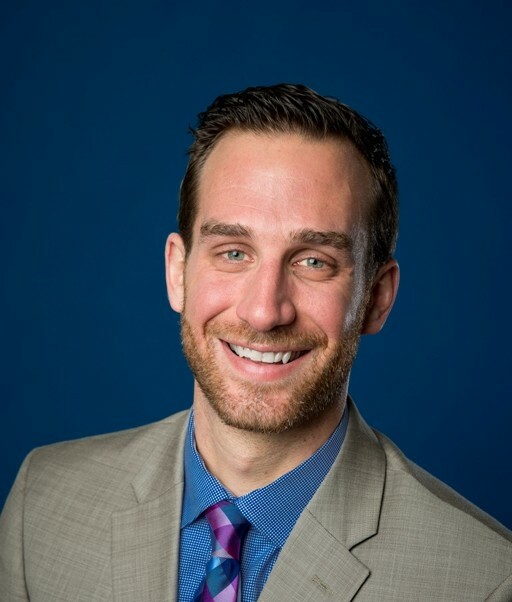 As a consultative broker, Jacob enjoys working with clients to both understand and connect their overall business goals to their employee benefits programs. He and his team help to identify the primary cost drivers affecting their clients’ benefit plans and work to develop tailored solutions designed to solve complex health insurance issues, contain prescription drug costs and provide analytics to track success and forecast future opportunities. Since joining MJ Insurance in August of 2001, Hideyuki has been instrumental in managing and developing MJ’s Japanese-owned Business Division. He plays an essential role in the facilitation of effective communication between potential and existing clients. Hideyuki’s many years of senior management experience have enabled him to be very effective in assisting Japanese companies achieve their risk management goals. Hideyuki’s involvement has resulted in many clients reducing the cost of their employee benefits programs and implementing strategies to create a healthier workforce. He has played an integral role in guiding clients to the appropriate property and casualty insurance programs, offering risk transfer alternatives and assisting with claims negotiations. 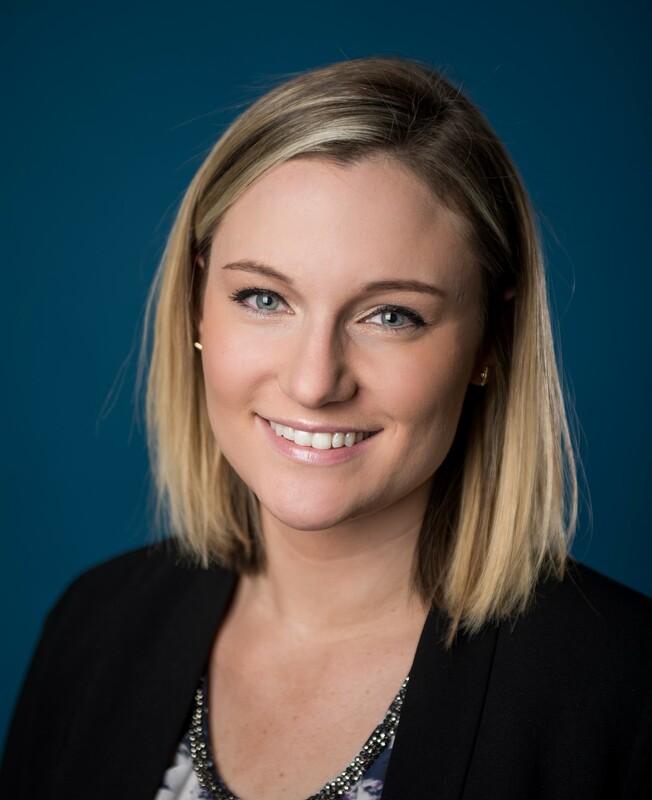 Jessaca Latteier joined the MJ Insurance team in 2015 as a client executive in our Benefits Consulting department. A veteran of the industry, Jessaca previously worked as an account executive at CBIZ where she was responsible for managing a $9M book of business. At MJ, Jessaca strives to maximize employee benefits to support clients by effectively evaluating, analyzing, planning and managing their benefits strategy. Throughout her career, Jessaca has specialized in working with mid-market and large employer groups across a wide range of industries. With over 17 years of experience, Jessaca’s expertise has grown to include: benefit plan design and development, corporate wellness, risk management, healthcare reform and regulatory compliance. She and her team work to develop the most cost effective and strategic benefits options for clients in alignment with their business goals and corporate objectives. 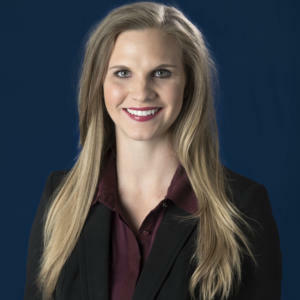 Casey Lawson joined the MJ Insurance team in 2014 as account manager in our Benefits Consulting department and has since moved into the consultant role for our small business clients. Prior to joining MJ, Casey worked as an account manager for The LBL Group where he was responsible for renewal management, marketing, service and healthcare compliance. In his current role, Casey oversees the service needs and acts as the day-to-day contact for our employee benefits clientele. He coordinates marketing activities and manages the entire renewal process for new and existing accounts. He is responsible for claims management and billing inquiries as well as creating custom benefit communication material and employer healthcare compliance. 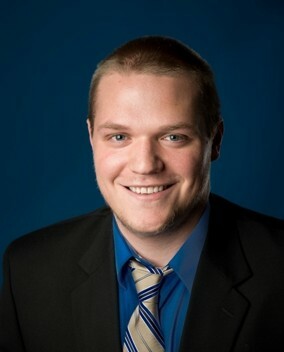 A Risk Management and Insurance graduate from Butler University, Andrew Losinski joined the MJ Insurance team in 2015 as Analytics Analyst in our Benefits Consulting department. Andrew has since been promoted to a Senior Analyst. Andrew’s expertise lies in turning a large data set into a comprehensible risk analysis report and forecast for clients in the employee benefits department. Andrew works with the Analytics team to forecast future risks and supply insightful analysis in order to identify cost drivers for our benefits consulting clientele. Through this analysis, he is able to recognize trends and draw meaningful conclusions allowing for proactive decision making and implementation of appropriate mitigation strategies. Shannon Lyons joined the MJ Insurance team in 2015 as an account manager in our Benefits Consulting department. 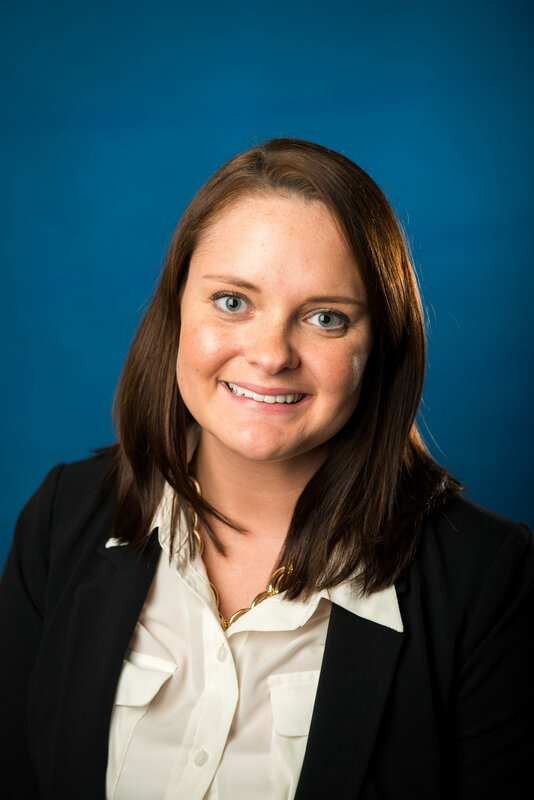 Prior to joining MJ, Shannon worked as account specialist at Aon. With over 27 years of industry experience, Shannon’s expertise lies in account management, contract review, plan design analysis and carrier negotiation. Shannon and her team work to provide comprehensive benefits, health and wellness programs, and compliance services to their clients. As a seasoned account manager, she develops the most cost effective and strategic benefit options and strategies for benefits consulting clientele. She is their main point-of-contact and acts as an advocate on their behalf. Along with servicing the day-to-day needs of her accounts, Shannon enjoys helping clients navigate the ever-changing world of health care. Clifford May joined the MJ Insurance team in 2017 as an assistant account manager in our Benefits Consulting department. Clifford is responsible for assisting with the day-to-day needs of MJ’s Benefits Consulting clientele while providing extraordinary service. With a focus on alignment, Clifford works in tandem with the analytics, wellness, compliance, communication and advocacy teams to execute on client benefit plan strategies. Prior to joining MJ, Clifford worked as a business development account executive at a local logistics company where he built and maintained client relationships and managed client service. In his role at MJ, Clifford continues to build relationships with clients and carriers alike. He works with small to midsize group segments to address any advocacy issues, compliance updates, and takes the group to market when renewal comes around. Pat Moore specializes in identifying and implementing various employee benefits solutions to a wide range of industries. He and his team help clients focus beyond benefits to become better, smarter and more successful. Starting with MJ in October 2016, Pat brings nearly a decade of sales and industry experience to the team. His expertise lies in employee benefits strategy, plan design and cost containment initiatives. As a consultative broker, Pat enjoys working with HR managers and corporate officers to both understand and align their overall business goals and objectives to their employee benefits programs. He and his team help to identify the primary cost drivers affecting their clients’ benefit plans, and work to develop tailored solutions designed to mitigate costs while creating a comprehensive, forward-thinking program. Dennis Nash joined the MJ Insurance team in 2017 as an Employee Benefits Consultant in our benefits department. Dennis is an insurance veteran with over 25 years of experience. Prior to working at MJ, Dennis worked for Gregory & Appel Insurance as a Vice President and Senior Benefits Consultant. Dennis specializes in developing and executing strategies to create benefit plans that integrate corporate strategy and company culture. With leading-edge financial analytics capabilities, Dennis is able to offer his clients maximum efficiency and cost containment strategies for all benefits needs, including specialty pharmacy care programs and self-funded group captives. Dennis works hard to create a transparent relationship with all his clients to ensure that all benefits needs are met and maintained, and the employee experience is overwhelmingly positive. Pete Norcia joined the MJ Insurance team in 2002 as employee benefits consultant in our Benefits Consulting department. Through his growth and leadership Pete was named an agency principal in YEAR. Prior to joining MJ, Pete worked as regional sales manager for CNA Insurance Companies. With over 30 years of experience, in boththe agency and carrier side of the industry, Pete specializes in benefit design and utilization analytics, wellness strategy and implementation, communication and education strategy and implementation as well as compliance and benefits technology. Pete and his team work with clients to best align their employee benefits strategies with the overall goals of their organization and best leverage their employee benefits dollars—a practice that has proven extremely successful. Daniel Orr joined the MJ Insurance team in 2011 in the Japanese-owned Business and Benefits Consulting divisions. As a native of Japan, Daniel has extensive bilingual and bi-cultural experience in Asia, as well as North America. In his previous position with Develop Indy, Daniel traveled to China and Japan to attract and retain Chinese and Japanese direct investments. Daniel, along with other members of the Japanese Business team, help to educate Japanese nationals on the nuances of risk management and employee benefits concepts and assist in the technical interpretation of insurance policies and programs. Daniel manages the translation and communication with Japanese executives and develops innovative strategies to help our clients further their risk management and employee benefits programs. Joe Perkins joined the MJ Insurance team in 1984 as Employee Benefits Consultant in our Benefits Consulting Department and quickly grew to become one of the agencies top performers. Named a principal of the firm in 2003, Joe has continued to grow and cultivate his leadership skills and technical expertise where he is now the lead production mentor for all incoming benefits consultants within the firm. On top of his mentorship responsibilities, Joe consults group clients on cost-saving benefit solutions. Joe’s broad range of specialties include plan design analysis, on-site clinic development and implementation, self-funding, creative pharmaceutical solutions and consumer driven health plans. At MJ, Joe and his team work to ensure clients’ employee benefits strategies are aligned with their business goals and objectives as they grow and change. Ann Poland joined the MJ Insurance team in 2009 as Employee Benefits Department Manager, bringing with her a vast knowledge of the industry, and has been promoted to Director of Compliance in our Benefits Consulting practice. Prior to joining MJ, Ann worked as Director of Legislative Research and Compliance with a national third party administrator. 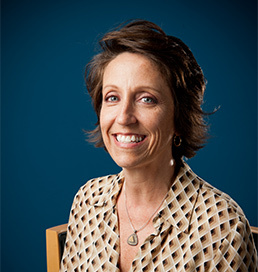 As Director of Compliance, Ann is responsible for proactively identifying, evaluating, reporting, reviewing and communicating regularly requirements to our employee benefits clientele. She consults with clients on health and welfare compliance issues regarding eligibility, plan administration and other federal legislation. Ann performs in-depth legal research and analysis with a goal of helping clients choose the appropriate option to safely navigate increasingly complicated compliance requirements. Her vast knowledge and expertise in employee benefits compliance and legislation has made her a true asset in the Benefits Consulting department and throughout the agency as well. Julie Rank joined the MJ Insurance team in 2016 as an Employee Benefits Consultant and brings with her over eight years of relevant experience. Prior to joining MJ, Julie worked as a talent acquisition manager where she recruited sales executives across 17 states. She understands the recruitment process and how employee benefits effect recruiting and retaining top talent. With vast experience in the costs associated with hiring and retaining employees, human resources and recruiting, Julie is able to combine her passion for healthcare and talent development in her current role. As an Employee Benefits Consultant, Julie determines if and how she can help a company prosper and specializes in consulting group clients on cost-saving benefit strategies. She works with clients to truly understand their business and culture, and design innovative solutions that align with each company’s goals and initiatives. Kasen Seeley joined the MJ Insurance team in 2011 in our Benefits Consulting department. She began her insurance career as an analyst at Emerging Benefit Consultants where she analyzed reports for plan improvements and opportunities to decrease employer costs. Through her experience, she has built a diverse resume of expertise within the healthcare marketplace. Kasen works with the Health Risk Management team to forecast future risks and supply insightful analysis in order to identify cost drivers for MJ’s Benefits Consulting clientele. Through the analysis of cost trends, prescription drug usage, disease conditions, demographics and more, she is able to recognize trends and draw meaningful conclusions allowing for proactive decision making and implementation of appropriate mitigation strategies for our clients. Kasen is able to create a story through the numbers and data to show clients a perspective that shows a potentially different reality. 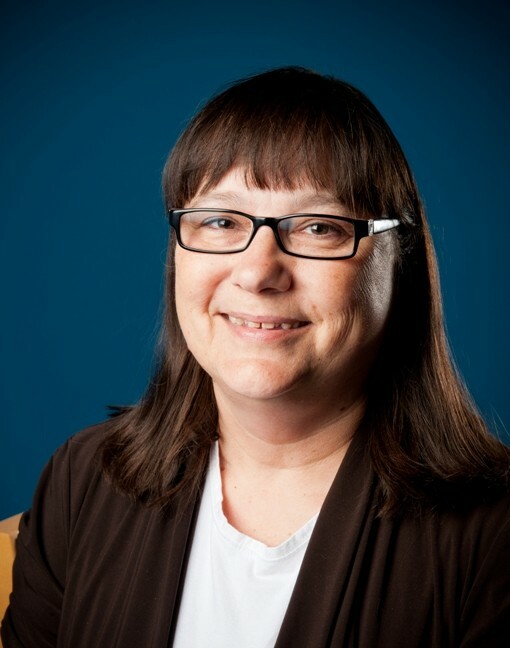 Monica Shelton joined the MJ Insurance team in 1998 as Marketing Coordinator in our Benefits Consulting department. With nearly 30 years of industry experience, she quickly moved up to Senior Account Coordinator and has since been promoted to Account Manager. As a veteran of the industry, Monica’s expertise lies in client reporting, communication, and marketing. Monica is responsible for managing the day-today needs of MJ”s growing employee benefits clientele while providing extraordinary service. She is responsible for the marketing and renewal process of new and existing clients providing analysis and reporting in conjunction with our Health Risk Analytics team. With a focus on alignment, Monica endeavors to better evaluate, analyze, plan and manage her client’s employee benefits programs and strategies. 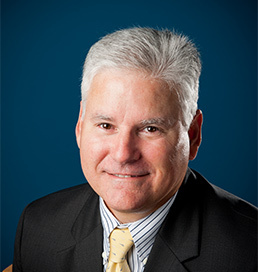 Byron Shultz joined MJ Insurance in 2011 as a Consultant in both our property/casualty and employee benefits divisions. He has since become a principal in the company and a leader in both practices. Byron has over 15 years of experience as a golf industry professional and played an integral role in the development and implementation of MJ’s Golf Program. Byron’s specializations include cost containment programs as it relates to Health Care Reform, Workers’ Compensation programs and overall risk management. His ever- growing industry knowledge has allowed him to excel in the areas of communication, customer service, education and compliance. Byron and his team work together to actively design, manage and implement specialized risk management and employee benefits programs. They work to counsel clients on appropriate risk management and cost containment measures, while designing an insurance program that is specifically tailored to their organization. 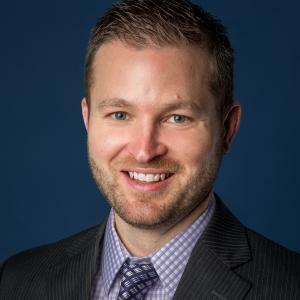 One of the youngest principals in firm history, Kevin Sliwa, began his insurance career as an employee benefits consultant at MJ Insurance in 2004. He quickly developed into one of the agency’s top performers, becoming a partner at age 30, and was most named Vice President of Sales & Strategy. In his position, Kevin is responsible for providing strategic direction and overseeing sales efforts for the Benefits Consulting department while also managing the EB production team. He specializes in maximizing employee benefits to support an organization’s strategy, managing costs and risk, enhancing employee recruitment, increasing employee retention and satisfaction, and improving communication and perception of benefits to employees. Kevin has extensive experience in the development and implementation of employer sponsored onsite clinics and progressive wellness programs, as well as plan design analysis, creative pharmaceutical solutions and consumer driven health plans. He and his team help to identify underlying cost drivers and work to develop effective solutions customized to fit their needs. Dale Stamper joined the MJ Insurance team in 2006 as marketing coordinator in our Benefits Consulting department and has since assumed the role of account manager. With over 19 years of industry experience, Dale’s expertise lies in marketing and carrier negotiation, contract review, and plan analysis. Dale and her team work to provide comprehensive benefits, health and wellness, and compliance services to their clients. She is responsible for servicing the day-to-day needs of MJ’s employee benefits clientele while managing the marketing and renewal process for new and existing accounts. Along with managing client service standards, she and the account management team maximize employee benefits to support an organization by effectively evaluating, analyzing, planning and managing their benefits strategy. Cassie Stang joined the MJ Insurance team in 2016 as assistant account manager in our Benefits Consulting department. While learning the nuances of the industry, Cassie works with the analytics, wellness, compliance,communication and advocacy teams assisting with their day-to-day needs. Typical day-to-day needs include, but are not limited to, preparing custom client materials, cost analysis and summaries, as well as assisting in the marketing and renewal process for new and existing clientele. Matt Stephanak joined the MJ Insurance team in 2017 as a Health Risk Analyst in the Benefits Consulting department. With a degree in Risk Management & Insurance from Ball State University, Matt brings with him a wealth of expertise and knowledge of the industry. Matt held several agency internships and worked as a claims administrator prior to joining MJ. As an analyst, Matt is responsible for analyzing claims data and cost drivers, identifying trends and creating customized reports for clients. Matt works with the Analytics team to analyze, implement and manage detailed analysis providing tactical and strategic recommendations for Benefits Consulting clientele. By providing dedicated data analysis, he and the Analytics team are able to forecast future risks allowing our clients to implement the appropriate mitigation strategy in alignment with their needs. Kasey joined the MJ Insurance team in 2017 as an employee benefits communications specialist in the Benefits Consulting department. She develops and executes key communication strategies for employee benefits clientele and brings with her over five years of marketing and communications experience. Prior to joining MJ, Kasey worked as the marketing and communications manager at a Phoenix-based tech company. At MJ, Kasey focuses on creating custom communication and educational content for clients surrounding their employee benefits offerings with a goal to increase open enrollment awareness and drive benefit engagement. 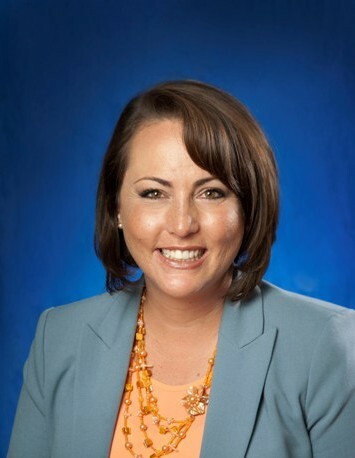 She is also responsible for expanding the MJ Learning Center and client education series – InspireYOU – to the Arizona marketplace. Carmen Tindell joined the MJ Insurance team in 2016 as an assistant account manager in our Benefits Consulting department. Prior to joining MJ, Carmen worked as an Administrative Assistant at CBIZ Benefits & Insurance Services, Inc., where she supported staff working on proposals, benefit guides and peer review. Carmen is responsible for assisting with the day-to-day needs of MJ’s Benefits Consulting clientele while providing extraordinary service. She serves as an extended arm of the human resources department at each client that she assists in managing. It is Carmen’s job to help with eligibility and coverage education, answer all billing questions, assist in claim resolution and act as the intermediary between the employee and benefit carrier to resolve benefit related concerns. Erich Veigel joined the MJ Insurance team as employee benefits consultant in our Benefits Consulting department and has since added an additional role of client executive to his repertoire. Erich’s experience has made him an expert in wellness, benefits technology, plan design analysis, network analysis, Rx program analysis as well as strategic vision and execution. In his role, Erich is responsible for the development and execution of employee benefits strategies for large group clientele. With a consultative approach, he works to fully understand clients’ corporate objectives and aligns their employee benefits initiatives through analytics, wellness, communication and compliance services and programs. Providing the strategic direction for the group, Erich strives to maximize employee benefits to support an organization’s culture and goals. Andy Vetor began his insurance career in 2002 as an employee benefits consultant at MJ Insurance and quickly grew to become one of the agency’s top performers. His track record for growth and leadership has continued to develop throughout his career, leading him to become one of the youngest principals in company history. Andy was named executive vice president of our Employee Benefits department in 2013 and was appointed to the Value Creation Team – a team charged with providing the strategic direction for the firm – that same year. Andy’s expertise lies in consulting group clients on cost-saving benefit solutions. Andy has a broad base of specialties including employee relations and communications, benefits technology, pharmacy solutions, data analytics, plan design analysis and consumer driven health plans, along with extensive experience in the development and implementation of employer sponsored onsite clinics, population health and wellness programs. At MJ, Andy and his team work to provide value and unparalleled service to all of their clients, a longstanding value that continues today. Cathy joined MJ Insurance in 2002 as the commercial claims manager and continues in that capacity today. 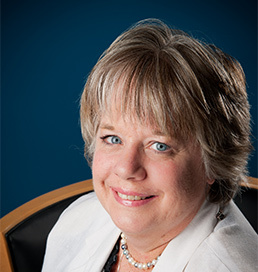 With nearly three decades in the industry, her knowledge and experience lies in handling multi-line claims including Workers’ Compensation, Property, General Liability, Property, Auto, Marine and specialty coverages, as well as vast experience in the transportation, mining, Japanese-owned business, construction, manufacturing and habitational industries. Cathy is responsible for overseeing and managing all aspects of the commercial claims team as well as creating and maintaining best practices throughout the department. She and her team work to provide proactive claims assistance to clients while providing optimum service and delivering the most advantageous claim resolutions. 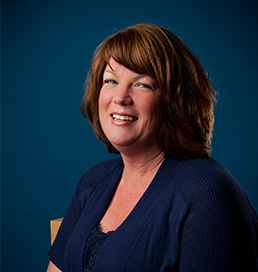 Diane Scales joined MJ Insurance in 2003 as a commercial claims coordinator and continues in that role today. With nearly 25 years experience on both the carrier and agency side of the business, Diane has become an invaluable asset to the MJ commercial claims team. 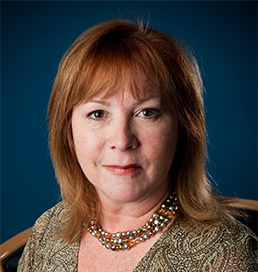 Her extensive background and experience has allowed Diane to become a true expert on claims handling, negotiation and litigation techniques. Diane works with a team of industry professionals where she serves as the primary liaison for all claim-related matters. On top of day-to-day client service, she and her team analyze, report and review claims as well as make recommendations on their findings in order to reduce future losses. Eric Stoner joined the MJ Insurance team in 2017 as a Claims Consultant in our Commercial Claims department. Prior to joining MJ, Eric worked as a Operations Expert at Anthem BCBS where he managed health insurance claims. With an extensive background in claims management, Eric has grown to become a valued member of the Commercial Claims team. Eric and his team work to deliver proactive claims assistance to all commercial insurance clientele. He provides expertise and support throughout every stage of the claims process, minimizing the economic and administrative burden for clients. Eric serves as the primary point-of-contact for all claim reporting and day-to-day inquiries, and monitors all claim handling to assure clients receive the optimum service and most advantageous claim resolution. Lee Zollner joined the MJ Insurance team in 2015 as commercial claims coordinator in our Commercial Claims department. A native of the industry, Lee previously worked as a field claims representative for Society Insurance where he handled multi-line and complex liability claims. With nearly 15 years of experience, Lee brings with him a breadth of knowledge of claims management, resolution and litigation techniques. At MJ, Lee is responsible for providing proactive claims assistance to clients in various industries. With technical expertise in workers’ compensation, auto liability, general liability, product liability and construction defect coverage, Lee serves as the primary point-of-contact for all claim reporting and day-to-day inquiries. Lee and the MJ commercial claims team analyze, report and review claim activity to assure clients receive the optimum service and the most advantageous claim resolutions. Rob Baumgartner joined the MJ Insurance team in 1996 as risk management consultant in our Property & Casualty and Surety divisions and became a principal of the firm in 2008. Rob’s main areas of specialty are in the construction, real estate development and surety bonding fields. Rob began his career as an owner/operator of a family construction company prior to entering the insurance industry. Because of his background and extensive knowledge in these fields, he has dedicated his entire career to servicing the needs of the construction, manufacturing and real estate industries. Rob and his team work together to actively design, manage and implement specialized risk management programs for his clients. His expert knowledge of the insurance issues facing construction companies fosters strong partnerships with his clients and has allowed him to help manage and lower their total cost of risk. Elizabeth Coe, or Liz for short, joined the MJ Insurance team in 2014 as commercial lines assistant in our Commercial Insurance department and was quickly promoted to client advocate. Her aptitude for learning the nuances of the industry along with her proficiency with technology has allowed her to become a valued part of the team. Liz specializes in marketing new and renewal accounts as well as contract and policy reviews, coverage verification and servicing the day-to-day needs of clients in the construction and metals industry. Typical day-to-day needs include, but are not limited to, issuing certificates of insurance and policy changes through endorsements. Liz strives to provide extraordinary service by assisting in the development and execution of tailored risk management programming for our large commercial construction clientele. 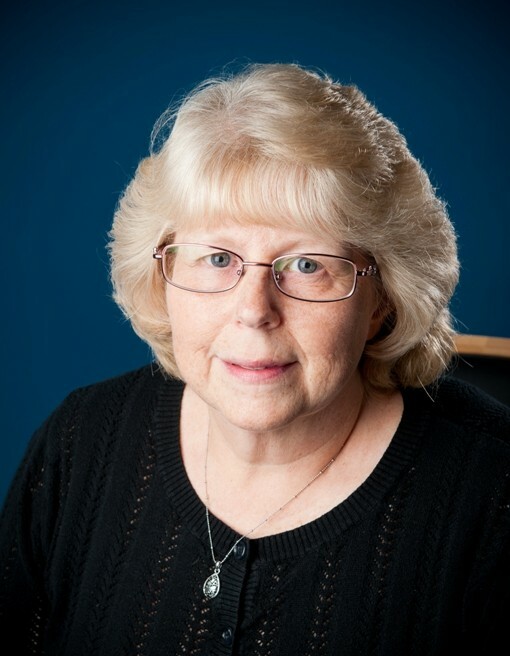 Karen Feltner first joined the MJ Insurance team in 1983 as Commercial Account Manager in our Commercial Lines Department. With more than 40 years of industry experience, Karen now functions as a Client Advocate in our Construction practice group. Karen provides constant support to her clientele and functions as their point of contact for any needs changes, questions or concerns. With a focus on alignment, she works alongside her team to develop and execute risk management programs and strategies tailored to best-fit each client’s specific needs. Karen is passionate about making people feel valued and loves that her job has allowed her to form close professional relationships with clients. Diane Fischer joined the MJ Insurance team in 2005 as an Account Manager in our Commercial Insurance department. A veteran of the business with over 26 years of experience, Diane has proved to be a valued member of the team. She specializes in the large construction industry sector where she works to understand clients’ business needs and goals, and assists in creating risk management strategies and programs in alignment with that. Diane provides client service support and functions as the main point of contact for our construction clientele. She is responsible for the coordination of service and marketing strategies as well as managing data analytics to identify potential gaps in coverage and making suggestions on those limitations. On top of servicing the needs of her accounts, Diane and her team work to provide clients with the best possible solutions to fit their individual needs. Melissa Glissmeyer joined the MJ Insurance team in 2017 as a Risk Management Consultant in our Commercial Insurance & Risk Management department. Prior to joining MJ, Melissa served in the commercial fire protection industry where she evaluated fire equipment hazards while maintaining industry compliance. With expertise in safety, loss control, high-risk and high-value products, Melissa consults clients on innovative risk management and insurance solutions. She works with her team to truly understand a client’s business, exposure to risk, and corporate goals while designing a risk management program which best aligns with their company culture. It is Melissa’s goal to provide risk management solutions that promote growth and client success. Sheree Hsieh joined the MJ Insurance team in 2002 as surety service representative in our Surety department. Prior to joining MJ, Sheree worked as an underwriting assistant at CNA Surety where she issued bond continuation certifications and collected important bond information for CNA’s underwriting team. With over 20 years of experience, Sheree has grown to become an expert in surety and bonding and a respected member of the team. 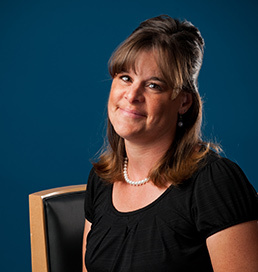 Sheree is responsible for gathering valuable information and calculating premiums for surety clients and underwriters. She acts as the liaison between our surety clients and the surety companies and serves as the main point-of- contact for each. With experience in a host of different segments, Sheree’s main focus is on commercial surety and contract surety for our construction clients. Cindy Jenkins joined the MJ Insurance team in 1998 as surety manager. She has widespread experience in working with business administration, customer service and surety bonding with specific emphasis on the construction contract segment of the business. With nearly 30 years of experience, Cindy has grown to become a true leader and invaluable member of the team. Cindy is responsible for building and maintaining effective client relationships and providing the best possible client service. She assists in creating and implementing department service procedures to maximize workflow within the surety and construction departments as well as managing, training, and developing members in the surety department. Job responsibilities are changing every minute and Cindy is grateful to manage a team of hardworking and motivated coworkers. Brenda Johnston joined the MJ Insurance team in 1999 as surety service representative in our Construction and Surety department. She is responsible for client service for commercial surety and construction clientele and with over two decades of experience in the insurance and surety business, Brenda brings a wealth of knowledge to the team. In her role, Brenda gathers valuable information and calculates premiums for both our surety clients and underwriters. She acts as the liaison between surety clientele and surety companies and serves as the main point-of-contact for each. Brenda’s favorite part of her role as surety service representative is issuing bonds, a task she has become an expert in. Kathy Jones joined the MJ Insurance team in 2000 as Commercial Account Manager in our Commercial Insurance Department. With over 45 years of experience, Kathy quickly progressed to the role of Risk Transfer Specialist where she now manages large commercial accounts in our Construction group. With a focus on risk management, trend reporting and data analysis, Kathy and her team work to create comprehensive risk management strategies tailored for clients in the construction and mining industries. She manages large commercial accounts as well as servicing and maintaining the day-to-day needs of her clients. A veteran of the industry, Kathy is valued for her technical expertise and has grown to become a true asset in the agency. Kris Kiley joined the MJ Insurance team in 2007 as an Account Coordinator in our Construction practice group where she was quickly promoted to Account Manager. She has since assumed the role of Client Advocate where she specializes in large construction and specialty contractors, contract review and assists in marketing and renewal efforts. Kris provides client service support and functions as the main point of contact for our construction clientele. She is responsible for the coordination of service and marketing strategies. On top of servicing the day-to-day needs of her accounts, Kris and her team work to provide clients with the best possible risk management solutions to fit their individual needs. Kimberly joined the MJ Insurance team in 2014 as surety service representative in our Surety & Bonds department. Kimberly is responsible for client service for commercial surety clients as well as accounting. In her role, Kimberly gathers valuable information and calculates premiums for both our surety clients and underwriters. She acts as the liaison between surety clientele and surety companies and serves as the main point-of-contact for each. She is also responsible for invoicing procedures throughout the department. Kimberly is a natural problem solver and appreciates when her work allows her to help solve problems for others. Olivia Lahr joined the MJ Insurance team in 2017 as a Risk Transfer Specialist in the Commercial Insurance & Risk Management department. 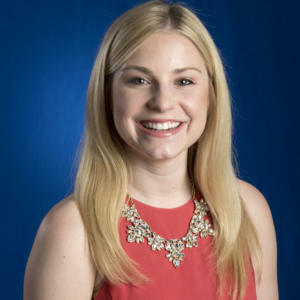 A graduate of Butler University’s Risk Management & Insurance program, Olivia brings a wealth of knowledge and real-world experience in all things risk management, marketing, trend reporting and data analysis. Prior to joining MJ, Olivia worked as a Large Property Underwriting Specialist at CNA in New York, where she managed a large book of business and engaged in risk control training. At MJ, Olivia is responsible for developing comprehensive risk financing and transfer strategies for clients in the construction and mining industries where she utilizes her business and underwriting acumen to help identify risk transfer trends and insights specific to those industries. Lula Laubecher joined the MJ Insurance team in 1998 in our Property & Casualty department and quickly grew to become the leader she is today. Before moving to her current role, Lula was a Commercial Lines Team Lead in MJ’s Construction department. In her current role as advocacy leader, she works to develop and establish best practices, procedures and risk management processes throughout the department to optimize client experience and success. With nearly 25 years experience, Lula and her team work to create comprehensive risk management strategies, focusing on their clients’ tolerance for risk, and strive to provide the best possible solution while offering extraordinary service. Through this process, she and her team are able to tailor programs that fit the specific needs of their clients throughout the country. Mike Marsella joined MJ Insurance in 2006 as a Surety Consultant specializing in the placement of surety bonds for the construction industry. Prior to joining MJ, he spent eight years as a commercial loan officer with two of the largest regional banks in the country. His focus and commitment to financing construction companies led him to MJ Insurance where he now functions as the surety practice leader. Mike works with contractors of all sizes and in every aspect of the construction industry to help them with their contract bonding needs. This entails providing a professional review of contract terms and conditions, in depth financial analysis, recommendations for balance sheet restructuring, WIP trend analysis, assisting with succession planning, business continuity and buy-sell agreements, advising on bank transactions, board advisory services, ESOP advisory and marketing the placement of all surety bond needs. Kate Maxwell joined the MJ Insurance team in 2017 as a Client Advocate in our Risk Management department. While learning the nuances of the industry, Kate works with the risk transfer, analytics and client support teams assisting with their day-to-day needs. Typical day-to-day needs include, but are not limited to, preparing custom client material and reports, collecting renewal information and processing policies. Prior to joining MJ, Kate worked as an executive assistant at Primrose Healthcare where she worked with c-suite executives to provide top-level assistance and support. In addition to acting at Client Advocate for property and casualty clients, Kate is the executive assistant to MJ’s Chief Executive Officer, Michael H. Bill. Megan K. Mayhall joined the MJ Insurance team in 2016 as a Risk Management and Personal Insurance Consultant. Prior to joining MJ, Megan worked as a Personal and Commercial Insurance Specialist at a large independent insurance agency where she managed risk management programs for both businesses and individuals. Megan’s broad base of specialties includes: property & casualty insurance for private and public companies, personal executive risk management individuals, plan design analysis, captive insurance alternatives, and high-risk products. With over a decade of sales and industry experience, Megan excels in understanding and managing the challenges facing businesses and individuals in today’s marketplace. Her expertise lies in developing and maintaining risk management programs to fit the current and changing needs of a business’s goals and initiatives. In conjunction with her dedicated risk advisory team, they develop and manage complex risks with sophisticated and effective insurance programs that correlates with the business exposure and individual lifestyle. Edward L. Mournighan joined MJ Insurance in 1975 and now serves as risk management consultant in our construction practice as well as a principal of the firm. Edward specializes in the construction, real estate development and surety bonding industries where he develops custom risk management solutions for these types of businesses. With nearly four decades of industry experience, Edward focuses on aiding clients in overcoming operational challenges by helping them understand the crucial relationship between insurance coverage and cost. Edward enjoys meeting with his clients and working hard to gain insights into their company culture and goals to ultimately create risk management solutions that are designed to help meet these goals. His in-depth knowledge of the business and expertise in niche industries makes him an invaluable asset to the MJ team. Michaela Neal joined the MJ team in 2017 as a risk transfer specialist in the Risk Management and Commercial Lines department. 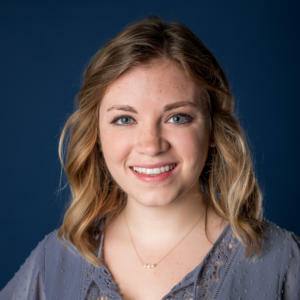 Michaela worked as the risk management intern during the spring 2017 semester where she supported the Risk Management department by preparing loss summaries, experience mods and other client projects. 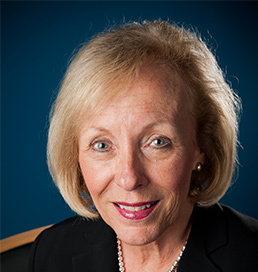 During her studies, she also served as the vice president of finance and operations of the first student-run captive insurance company in the nation, the MJ Student-Run Insurance Company, Ltd., where she participated in the development and implementation of the captive through Butler University’s Lacey School of Business. As a now full-time employee, Michaela works as a risk transfer specialist where she partners with the risk analysis, risk transfer and client advocacy teams to create and implement risk transfer strategies for MJ clientele. Sheila Rura joined the MJ Insurance team in 2006 in our Commercial Insurance department and quickly grew to become the leader she is today. With nearly three decades of experience in the industry, her many years of handling the risk management department of a Fortune 500 company have allowed her to excel in her field. As an account manager in MJ’s Construction practice group, Sheila manages large, specialty construction accounts as well as servicing and maintaining the day-to-day needs of her clients. Carol previously worked as director of risk for several Fortune 100 companies and has extensive experience in heavy construction, healthcare – service and manufacturing, as well as the industrial robotic and CNC industries. With her extensive background in health, safety and risk management, she brings a broad background that provides innovative solutions to effectively manage our client’s risk and realize opportunities for their success. Her specializations include: global risk management program development and implementation, crisis management and response, cyber, loss prevention, and a keen understanding of the dynamic requirements impacting business operations. Kimberly Shedd joined the MJ Insurance team in 2008 as commercial account manager in our Commercial Insurance department. She was quickly promoted to the account executive position where she grew to become the leader she is today. As director of operations for the Arizona office, Kimberly manages the commercial insurance service staff as well as servicing and maintaining large commercial clients. In her role, she works to develop and establish best practices, procedures and risk management processes throughout the department. With over 18 years experience, Kimberly’s expertise lies in risk management strategy and execution, property and casualty insurance, workers’ compensation, experience modification analysis and claims management. Kimberly and her team work to create comprehensive risk management strategies in alignment with clients’ corporate goals and strive to provide the best possible risk management solution while offering extraordinary service. Aaron Shields specializes in bringing various risk management solutions to a wide range of industries with nuanced risk management programs. He and his team help clients focus beyond insurance to become more productive risk management organizations with lower total cost of risk. Starting with MJ in January 2011, Aaron brings over a decade of experience working in the manufacturing, metals, food, and healthcare industries to the Risk Management team. 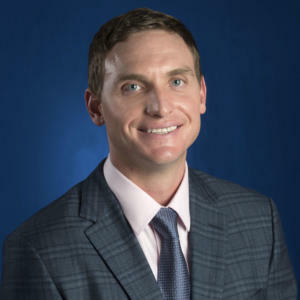 Aaron’s strong understanding of the underwriting, claims, and loss control processes, along with his experience in risk management strategy, plan design and risk transfer analysis, allows him to expertly connect his client’s overall business goals to their risk management programs and strategy. As a Client Executive, Aaron acts as the internal conduit between the risk analysis, risk transfer and client advocacy teams to ensure seamless execution of client strategy and consumer service. Uber started with MJ Insurance in 2002 as an associate producer in our Construction division. Shortly thereafter, she advanced to become the carrier relations manager for MJ’s Commercial Lines department. In this role, she is responsible for developing and maintaining MJ relationships with various property casualty insurance carriers and wholesalers as well as managing and coordinating product and carrier educational meetings. Bonnie’s vast knowledge of the industry comes from her 40 years of experience working in insurance. 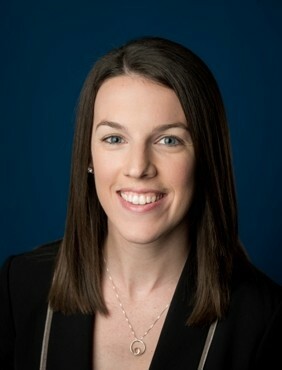 She previously worked on the carrier side of the business in claims, marketing, underwriting and management positions. Her technical knowledge of commercial insurance coverages and industry lingo proves beneficial to all at MJ, as she is a technical course instructor with MJ YOUniversity, an internal training program for MJ associates. Marcia Woldahl joined the MJ Insurance team in 1996 as account manager in our small business unit and has since assumed the role of client advocate in our Commercial Insurance department. With more than 30 years of insurance experience, Marcia now specializes in the manufacturing industry sector, where she assists in the marketing and renewal process for new and existing clientele. Marcia specializes in policy and audit reviews and coverage verification while providing client support and servicing the day-to-day needs of MJ’s manufacturing accounts. Marcia loves that she is able to use her expertise and experience in the industry to mentor newer members of MJ’s team. She works with her team to develop and execute risk management programs and strategies tailored to their client’s specific needs. J. Colin MacNab joined the MJ Insurance team in 1993 and brings with him over 25 years of experience. As executive vice president of our Property & Casualty division, Colin oversees activities in our large commercial department as well as serving as risk management consultant to our Japanese-owned Business, Manufacturing, Construction and Service industries. Colin also sits on MJ’s Value Creation Team – a team charged with providing the strategic direction for MJ in alignment with our purpose. Colin is passionate about ensuring the success of his clients through MJ’s development and growth into new technology and risk consulting programs. Colin maintains a proactive approach when working one-on-one with his clients. He strives to continually focus on building long-lasting relationships by keeping open lines of communication as well as truly learning about his clients needs as a business. His unique experience with alternative risk transfer, including captive formulation, enables him to design risk management solutions for unique client needs. Aaron Parker joined the MJ Insurance team in 2017 as a client executive in the Risk Management department. 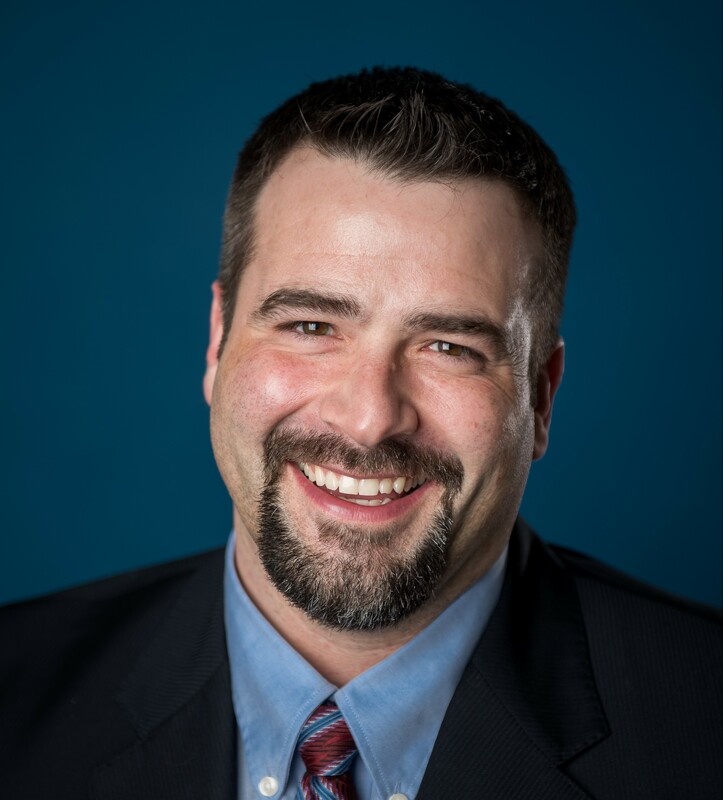 A native of the industry, Aaron brings over a decade of extensive experience in enterprise risk management, claims, loss control programs, and safety programs. 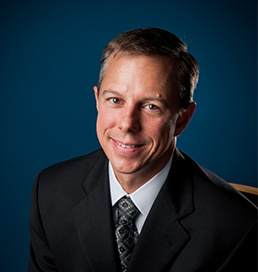 Prior to joining MJ, Aaron worked as the senior insurance and risk manager for the State of Texas Office of Risk Management where he was responsible for leading the Insurance Services department and served as a consultant to more than 100 State of Texas government agencies and institutions of higher education. At MJ, Aaron is responsible for stewardship of the MJ value proposition and delivering on all aspects influencing the overall client experience. Aaron acts as the internal conduit between the risk analysis, risk transfer and client advocacy teams to ensure seamless execution of client strategy while delivering exceptional customer service to his clients in the construction industry. Cindy Archer joined the MJ Insurance team in 2007 as risk transfer specialist in our Commercial Insurance department. With 30 years of industry experience in both the agency and carrier side of the business, Cindy has grown to become an expert in several fields. Her specializations include: social services, metals, and manufacturing, where she develops risk management strategies and programs tailored to her clients’ needs. Cindy works to coordinate service and marketing activities as well as managing data analytics to identify potential gaps in coverage and making recommendations on those limitations. On top of servicing the day-to-day needs of her accounts, Cindy and her team work to provide clients with the best possible risk management solution to fit their individual needs. Kristen Conard joined the MJ Insurance team in 2014 as commercial account assistant in our Commercial Insurance department. Her aptitude for learning and technical comprehension allowed her to quickly move up to her current role, commercial account coordinator, in our Manufacturing practice. Kristen assists in marketing new and renewal accounts as well as contract and policy reviews, coverage verification and servicing the day-to-day needs of clients in the manufacturing industry. Typical day-to-day needs include, but are not limited to, issuing certificates of insurance and policy changes through endorsements. With a focus on alignment, Kristen works with her team to assist in the development and execution of risk management strategies and programs tailored to the specific needs of our clients. 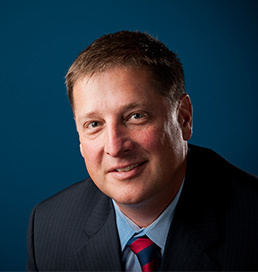 Brad Frawley joined the MJ Insurance team as risk management consultant in 1990 in the Property & Casualty department and became a principal of the firm in 2003. Brad leads the Metals practice group, while playing an integral role in the Manufacturing practice group as well. His twenty-plus years of experience have allowed him to advise clients with operations in all 50 states, Canada, Mexico as well as several Asian, Middle Eastern and European countries. Brad and his team assist metal manufacturers, scrap dealers and distributors overcome operational challenges, aiding them in understanding the crucial relationship between insurance coverage and cost. Equipped with this knowledge, his clients are able to make informed decisions on how to effectively run their business with a risk management solution that is customized to fit their unique needs. Jessica Gerth joined the MJ Insurance team in 2009 as commercial account assistant in our large commercial department. In 2011, she advanced to the role of client advocate in the MJ Manufacturing and Metals practice groups. Jessica was recently promoted again to a new training & development role within the Commercial Lines department where she is charged with training new and existing employees. Her aptitude for learning the nuances of the industry along with her proficiency with technology has allowed her to become a valued part of the team. Jessica’s favorite part of her role is being able to teach and help people grow in their roles. Typical day-to-day needs include, but are not limited to, on-boarding and maintaining client needs. She works with her team to develop and execute risk management programs and strategies tailored to each specific client. Neil Heider joined the MJ Insurance team in 2013 as risk management consultant for our Construction, Manufacturing and Recycling practice groups in our Property & Casualty department. Prior to joining MJ, Neil worked in both the construction and manufacturing industries where he oversaw production, quality and safety standards. His expertise on the client side of the business has allowed him to view risk management from a different perspective. With over a decade of experience in the construction and manufacturing industries, Neil understands the business needs of those clients and what they must work through on a daily basis for any given project. This has allowed him to successfully align clients’ risk management programs with their business goals and objectives to ensure progress and to truly become a consultant and adviser to those clients. Ginger Krahn joined the MJ Insurance team in 1985 as commercial claims coordinator providing proactive claims assistance in our Commercial Claims department. She has since moved on to the role of surety service representative in our Surety department and was promoted to Risk Transfer Specialist in our Small Business Unit back in 2008. A consummate industry professional, she has a well-rounded skill set and expertise that has grown from her work in several departments throughout the agency. With over 36 years in the industry – 33 of those with MJ – Ginger has grown to become a respected and valued member of the team. Ginger works to coordinate the service and marketing activities for her clients as well as managing data analytics to identify potential gaps in coverage and making recommendations on those limitations. She is the primary point-of-contact for the day-to-day servicing needs of clientele in our Small Business Unit. John Long joined the MJ Insurance team in 1979 as producer and risk management consultant in our Property & Casualty department. Prior to joining MJ, he was a field sales manager at Indiana Farmers Mutual Insurance Company. As lead consultant in our Small Business Unit, John and his team work to create risk management strategies and insurance programs tailored to fit the specific needs of companies in the following industries: social services, start-ups, small business and contractors. With nearly 45 years in the business – 39 of those with MJ – John’s technical expertise and broad skill set have played an integral role in the growth of our Small Business Unit. John and his team focus on creating risk management solutions and strategies that strategically align coverage with need for individual small business clients. insurance and risk management programs. Richard’s expertise lies in plan design, risk transfer analysis, risk management solutions and loss prevention. As a consultative broker, Richard helps business owners and corporate officers develop and implement cost effective insurance and risk management solutions that are centered around their overall business goals and objectives. 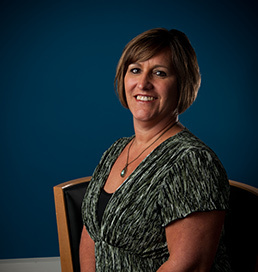 Brenda Slavens joined the MJ Insurance team in 2002 as commercial account manager in our Small Business Unit. She has since moved to the Commercial Insurance department where she functions as a risk transfer specialist for the manufacturing and habitational industries. She brings over 30 years of industry expertise to the team with a range of experience in life and health, personal and commercial insurance. Brenda and her team work to provide comprehensive risk management and insurance programs and strategies to their clients. Along with servicing the day-to-day needs of the manufacturing and habitational clientele, she strives to provide extraordinary service while managing the marketing and renewal process for new and existing accounts. Brenda is passionate about finding the most efficient means to bring success for her team. Sarah Hanson joined the MJ Insurance team in 2008 as a commercial claims coordinator in our Commercial Claims department. Sarah showed a deep passion for personal development and began assisting in the creation of the MJ YOUniversity program. Shortly after, Sarah was moved into a full time learning and development specialist role, created for her unique skills and ability. In her role as learning and development specialist, Sarah works with the L&D team to identify employee training gaps and needs, create and implement corporate training programs, develop the mentorship and internship programs and oversee all employee on-boarding and experience. Sarah works with all of MJ’s departments to help each employee realize their personal mission statement and create development plans that align with their personal and professional goals. As Vice President of Learning & Development, Ryan Michalowski is responsible for the strategic oversight of all employee development, recruitment and human resource functions of MJ. Ryan is also a member of the VCT at MJ, a team tasked with providing the strategic direction of the firm. With over 14 years of experience, Ryan’s expertise lies in transforming the human resources function into a strategic business unit. His qualifications include: leadership and talent development, employee retention, change management, conflict resolution, short- and long-term strategic planning and professional advancement training. Ryan works to enhance the overall MJ experience – increasing associate engagement while developing associate and talent management strategies. He is also responsible for the development and execution of associate on-boarding programs, improvement of operational HR – including service delivery and recruiting, as well as succession planning and leadership development. Kylie Miller joined the MJ Insurance team in 2016 as Talent Acquisition Specialist in the Learning & Development department. In this role, Kylie is responsible for developing and implementing strategic initiatives for recruiting and bringing the best and brightest talent into the organization. She partners with business leaders to anticipate and meet MJ’s evolving workforce needs while delivering best talent throughout the hiring process. Kylie has served in a variety of staffing and corporate recruiting roles throughout her career where she discovered her true passion—being an advocate of company culture. She thrives on sharing the MJ Purpose with potential candidates and nurturing our company’s best asset – our people! With this energy and drive, Kylie will continue to develop and implement MJ’s recruiting strategies while sharing the incredible growth opportunities within the insurance industry. Arden Coher joined the MJ Insurance team in 2001 as a Risk Management Consultant in our Commercial Insurance department. Arden now functions as a Client Executive where he specializes in manufacturing, real estate, nonprofits, and service industries. Arden is an insurance veteran with over 41 years of experience. His 24 years of experience on the carrier side of the industry brings a unique perspective to risk management solutions and creates strong advantages for his clients. Arden specializes in developing and executing strategies that create better, smarter, and more profitable operations. With a focus on alignment, he and his team work to truly understand a company’s business, exposure to risk, and corporate goals and objectives while designing a risk management program specific to a client’s unique needs. Arden is always looking over the next hill and around the next corner for his clients and strives to move the needle on positive results. Cyndi Daugherty brings over 40 years of experience in commercial insurance and claims to MJ, where she currently serves as a Risk Transfer Specialist in our Commercial Insurance Department. Cyndi joined the MJ team in 1993 as Commercial Account Manager and works with clients in the manufacturing/ diversified industry sectors. Cyndi and her team work to provide comprehensive risk management and insurance programs to their clients. Along with servicing the day-to-day needs of the large diversified and manufacturing clientele, she strives to provide extraordinary service while managing the marketing and renewal process for new and existing accounts. Cyndi and her team work together to deliver the most comprehensive programming possible while tailoring strategies to fit our clients’ needs. Laurie Schoening joined the MJ Insurance team in 2000 as Risk Transfer Specialist in the Commercial Insurance department. With nearly 40 years of industry experience, Laurie has grown to become an expert in several fields. Her specializations include: garage, service, technology, municipalities, manufacturing and construction, where she has been instrumental in developing programs to respond to clients’ specialized needs. Laurie works to coordinate service and marketing strategies as well as managing data analytics to identify potential gaps in coverage and making recommendations on those limitations. On top of servicing the day-to-day needs of her accounts, Laurie and her team work to provide clients with the best possible risk management solution to fit their individual needs. 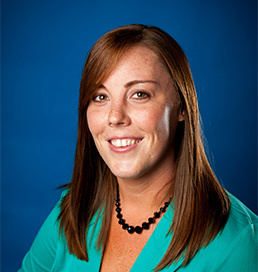 Kelly Botos joined the MJ Insurance team in 2012 as risk transfer specialist in our Commercial Insurance department. With over 18 years of industry experience, Kelly has grown to become an expert in several fields. Her main areas of specialization include the manufacturing, technology and healthcare fields where she has been instrumental in developing tailored programming for clients in these industries. Kelly coordinates service and marketing activities as well as managing the day-to-day servicing needs of her clients. With a focus on risk management, trend reporting and data analysis, Kelly and her team work to create comprehensive risk management strategies tailored for clients in the manufacturing industry. Her favorite part of the risk transfer specialist position is being able to form personal relationships with her clients. Ryan Daniele joined the MJ Insurance team in 2015 as a client executive in our risk management department and was quickly promoted to director of strategy & operations in our Risk Management department. Prior to joining MJ, Ryan worked as assistant account manager at The Graham Company where he acquired vast knowledge in in-depth coverage analysis, contract review, interpretation of loss runs, audits and loss sensitive plans. Ryan works in tandem with the other risk management teams to develop a comprehensive risk management strategy. He is responsible for managing the execution of that strategy for clients in the manufacturing, construction, health and human services, technology and mining/energy industries. With a focus on alignment, Ryan leads the client service teams to ensure that our clients’ insurance and risk management programs are in accordance with their key business initiatives and risk management goals. Ryan Goodwin joined the MJ Insurance team in 2016 as risk management consultant in our Commercial Insurance department where he specializes in both manufacturing and public sector business. Ryan is an insurance and risk management veteran with over a decade of experience, broad base of technical knowledge, direct public sector experience in both town and county government, and demonstrated industry familiarity and understanding. His expertise and knowledge of public sector operations, liability, risk and safety helps leverage the best possible outcome for his clients in this industry. At MJ, Ryan specializes in developing and executing strategies to reduce his client’s cost of risk. With a focus on alignment, he and his team work to thoroughly understand clients’ business, exposure to risk, and corporate goals and objectives while designing a risk management program which best aligns with the organization’s culture. Justin Rarick joined the MJ Insurance team in 2018 as risk management consultant in our Property & Casualty department. Justin’s areas of specialty are construction, food and agriculture, manufacturing, complex claims and large work comp programs. 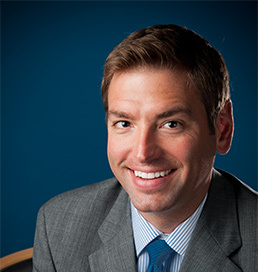 Prior to joining MJ, Justin worked at Arthur J. Gallagher, where he served as a consultant and VP of Claims. In his role at MJ, Justin is responsible for new business development in the Phoenix market. He works with executive level insurance buyers to create unique and personalized risk management and business plans with a focus on sustained cost reductions. Becky Seiler joined the MJ Insurance team in 2002 as claims coordinator in our Commercial Claims department. She was quickly promoted to the risk transfer specialist position in our Risk Management department where she functions today. With over 24 years of industry experience, on both the agency and carrier side of the business, Becky brings a unique and knowledgeable perspective to the team. Becky and her team work to solve problems for their clients and provide them with the best possible risk management solutions for their individual needs. Becky’s vast knowledge of insurance and risk management has made her a true asset in the commercial insurance department and throughout the entire agency as well. Britni Shrout joined the MJ Insurance team in 2008 as commercial account coordinator and quickly moved up the ranks. She currently functions as director of marketing & communications where she oversees the agency’s marketing and communications efforts. From brand management to direct marketing to corporate communications and community relations, Britni’s proven expertise and solid grasp of market communications has made her an invaluable asset to the team. As marketing & communications director, Britni is responsible for MJ’s marketing, communications and public relations initiatives. With a passion for creativity, collaboration and planning, Britni works to increase the visibility of MJ’s services and programs while developing marketing strategies to increase awareness and promote agency growth. Throughout her tenure she has developed and expanded the department, leading an agency-wide positioning and rebranding project, website redesign, collateral development and digital marketing campaigns. Amy Wells joined the MJ Insurance team in 2017 as a Risk Transfer Specialist in the Commercial Insurance & Risk Management department. With over a decade of industry experience, Amy’s specialties include risk management, property and casualty insurance, and trend analysis. Prior to joining MJ, Amy worked as a multi-line underwriter at Indiana Farmers Mutual Insurance Company where she was responsible for new agent training and providing underwriting expertise. Specializing in the transportation and trucking sector, Amy works with her team to identify risk transfer trends and insights specific to the transportation industry. She is responsible for developing comprehensive risk management strategies tailored for clients along with providing the highest level of technical expertise and customer service..
Vickey Bundy joined the MJ Insurance team in 2012 in our Personal Lines department. With over four decades of industry experience, Vickey excels in her field. Vickey manages high net-worth personal lines accounts as well as servicing and maintaining the day-to-day needs of her clients. With a focus on personalized service and a consultative approach, Vickey and the personal insurance team work to create comprehensive programs customized to fit their client’s needs. She strives to help her clients understand their coverage options completely and make sure their insurance program is in alignment with their changing lifestyle and family needs. Vickey’s vast knowledge of the marketplace and personal insurance has made her a true asset in the Personal Insurance department and throughout the agency. Cheryl Burtner brings over 40 years of experience with personal insurance and underwriting to MJ, where she currently serves as personal lines account manager. Joining the MJ Insurance team in 2004, Cheryl previously worked as personal lines underwriter for Indiana Insurance Company. Her expertise lies in homeowners, valuable articles, automobiles, watercraft, personal umbrella and many other specialty coverages. Cheryl works to create customized insurance programs for MJ’s personal insurance clientele. She and the personal insurance team take a detailed, personalized approach with their clients to build a thorough understanding of their needs and a custom plan to meet them. Her extensive experience on both the agency and carrier side of the business has been integral to her success here at MJ. Barbara Chandler joined the MJ Insurance team in 2004 as personal lines account assistant and continues in that role today. Her forty years of industry experience has contributed to a broad base of specializations ranging from personal insurance, claims management and loss control. Her extensive experience in these areas have made her a valued member of the team. Barbara assists the account management and claims management teams on daily workflows as well as day-to-day servicing needs of personal lines clientele. She and the personal insurance team work in tandem to provide extraordinary service while delivering the most comprehensive insurance program possible. Barbara’s teammates sometimes call her the “processing machine” because she is so quick at processing claims. Morgan Duffy joined the MJ Insurance team in 1998 as Account Assistant in our Personal Insurance department. Since her start date, Morgan has gained twenty years of experience and the position of Operations Manager. Morgan now oversees the daily operations of the personal insurance department in MJ. Morgan loves that her position of Operations Manager allows her to collaborate and share ideas with other departments within MJ. She works tirelessly to be sure that the personal insurance department is providing the best options for each individual client they work with. Micki Helvaty joined the MJ Insurance team in 2000 as account manager and claims specialist in our Personal Insurance department. With nearly 40 years of experience in personal insurance, commercial insurance and claims management, Micki’s knowledge and expertise has allowed her to become a valued and respected member of the team. Micki is responsible for selling and servicing the day-to-day needs of personal lines clientele by providing extraordinary service while delivering the most comprehensive insurance programs possible. On top of her role as account manager, Micki also functions as the personal insurance claims specialist where she acts as our client’s liaison throughout the duration of the claims process. Her goal is to help clients understand the claim process and assists in resolving the claim quickly and with the most favorable result. Chris Novotney joined the MJ Insurance team in 2017 as a director of business development for the personal insurance department. Chris brings with him over 10 years of industry experience in insurance and business development. 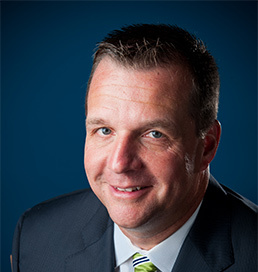 Prior to working at MJ, Chris served as the director of business development for Hays & Sons, a construction company in Indianapolis. In his role at MJ, Chris is responsible for the reorganization and restructuring of the personal insurance department. He leads the department in their role of providing exceptional customer service and coverage needs to successful individuals and their families. Chris focuses much of him time and energy into developing relationships with carriers and centers of influence within the world of personal insurance to ensure that MJ clients are offered the best possible strategic plans to meet their unique coverage needs. Debbie Roeder joined the MJ Insurance team in 1998 as Account Manager in our Personal Insurance department. Through her growth and leadership she was quickly promoted to Personal Insurance Manager. As Personal Insurance Manager, Debbie managed the Personal Insurance staff as well as servicing and maintaining MJ’s successful clientele. Recently, Debbie transitioned out of the managerial duties for the department and continues as a client executive in Personal Insurance. With 40 years of experience, Debbie and the Personal Insurance team work to understand clients’ insurance needs and create a custom plan suited to those needs. With a focus on personalized service and a consultative approach, Debbie endeavors to help clients understand their coverage options completely while acting as an advocate on their behalf. Her vast experience in management and Personal Insurance proves her to be an integral member of the team. Deborah Wheeler joined the MJ Insurance team in 2004 as account assistant in our Personal Insurance department. Prior to joining MJ, Deborah previously worked as personal lines account assistant at Gregory & Appel Insurance. With over 37 years of industry experience, Deborah plays an integral role in our Personal Insurance department where she assists the account management team on daily workflows as well as day-to-day servicing needs of personal lines clientele. Deborah assists account managers in all aspects of quoting, writing new business, endorsement and customer service. Deborah’s favorite part of her job is the opportunity to quote new business with follow-up and input from the client and Personal Lines team. Jon Slusser joined the MJ Insurance team in 2017 as a Consultant in our Risk Management department. Jon works in the small business department where his focus is providing exceptional customer service and attention to strictly small business clients so that they receive the best possible risk management strategies and solutions. Jon works to create meaningful relationships with key decision makers in each client’s company so that he can understand the business needs through effective communication. Jon identifies potential risks and works to develop strategies that bridge all gaps and remain cost effective. With a focus on alignment, he and his team work to truly provide the best possible solutions and service to small business clientele. Kelly Spradling initially joined the MJ Insurance team as commercial claims coordinator in 1992 and took a brief hiatus when she relocated and started her family. Returning to MJ as an Account Coordinator in 2008 and has since been promoted to Account Manager in our Small Business unit. Kelly specializes in marketing new and renewal accounts as well as contract and policy reviews, coverage verification and servicing the day-today needs of small business clientele. With over two decades of industry experience, she works with her team to develop and execute risk management programs and strategies tailored to clients’ specific needs. Eric Spencer joined the MJ Insurance team in 2017 as a Risk Management Consultant in the Commercial Insurance & Risk Management Department. Specializing in the transportation and manufacturing industries, Eric consults trucking, transportation and manufacturing clients on cost-saving insurance and risk management solutions specific to their needs. 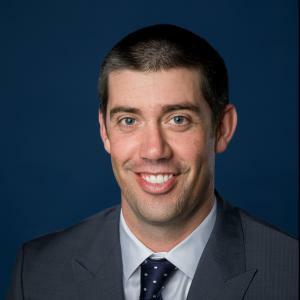 Prior to MJ, Eric worked as a Business Development Associate for a large insurance carrier where he managed agency and broker relationships while providing data and strategic analysis for the sales team. With his impressive background in insurance and sales, Eric excels in understanding and managing the challenges facing business owners in today’s marketplace. He and his team create, implement and manage risk management programs tailored to those unique business needs.